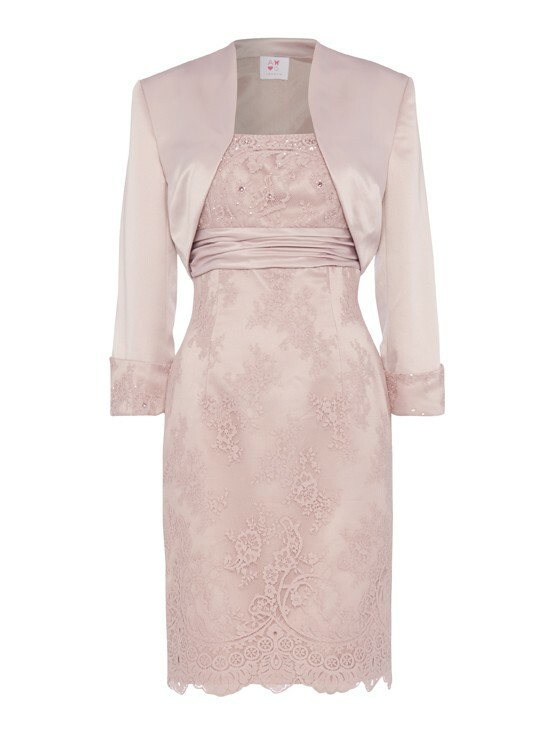 This classic silhouette is both elegant and stylish perfect for Mother of the Bride and wedding guest. Structured lace dress with thin straps, embellished lace and rushed waist band .Accompanied with a short satin bolero with detailed lace cuff. This is a great outfit that looks both elegant and timeless, the waist detail accentuates the waist and the bolero gives you that extra coverage when needed. Style with a pair of court shoes and clutch.